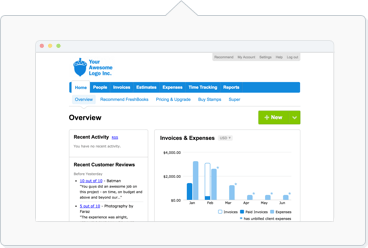 If you have a new address, or a new credit card, you can update it inside your FreshBooks account. This ensures there's no disruption to your account when your next payment is due (or renewed) so you always have access. Why are my updated credit card details not saving? If all the above isn't working, check with your bank, particularly if you are located outside of Canada. Some banks may require you to authorize FreshBooks to charge your credit card on a recurring basis since FreshBooks is located in Canada. How do I reactivate my account with my updated credit card? If your account was cancelled and you're looking to reactivate it, just log into your account at my.freshbooks.com, and you'll be asked to fill in your credit card details. Click Save and your account will be reactivated once all outstanding payments are processed.